Photographer Rose-Lynn Fisher’s images of the microscopic structures of dried human tears has been the starting point for the next stage creative development. Our research has been exploring the familiar subject of tears and the varied ways in which we express our emotions. 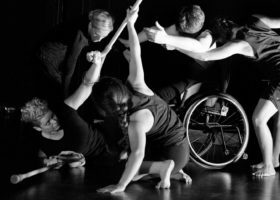 The artists have collaborated through their shared experiences of joy, grief and frustration and have explored movement and theatre tasks related to both the seen and unseen intricacies within our bodies. 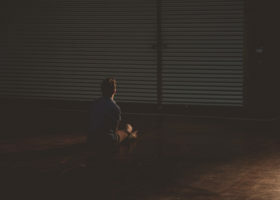 Sarah-Vyne’s interest’s as a director is to unpack everyday personal experiences and to find innovative ways of communicating these social norms within a theatrical context. Image credit: ‘Days Like These’ sharing, photo by Gisella Vollmer.